Moms-to-be, get your go-bag ready! Make sure you pack everything you’ll need to bring your newborn home. Keep the carseat in the car unless your caregiver asks you to bring it inside. Call 1-800-227-2358 for more carseat information. This can be used to keep baby calm during travel. Bring a nail file to prevent baby from scratching his or her soft skin with jagged nails. This could be a onesie and pants, or any other non-restrictive clothing item. 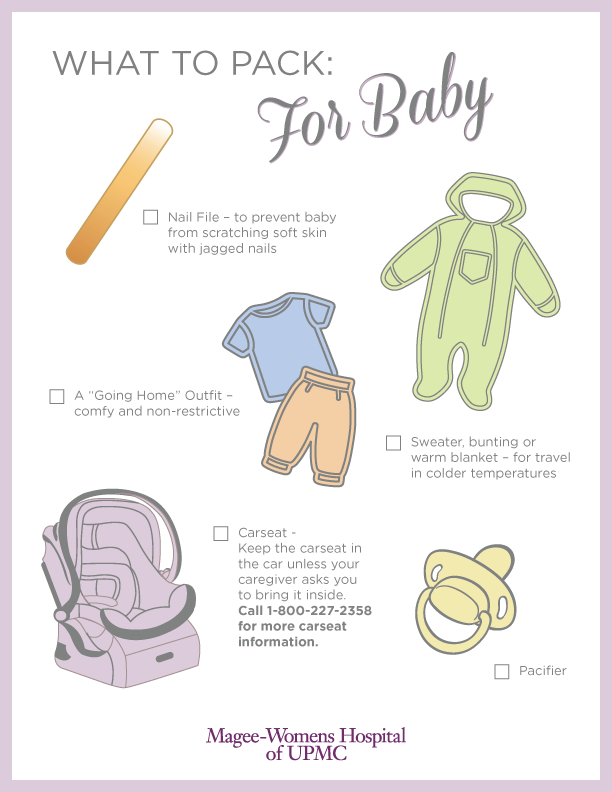 These items can help to keep baby warm during travel in cooler weather.